Britain will make a momentous choice in the EU referendum on June 23. If the country votes to Remain, it will strengthen and renew the European project. If we vote to Leave, then Britain will open an entirely new, independent chapter in its history. There are arguments on both sides of the vote. Here we summarise the best ones in favour of Leave, to help voters who are wavering or undecided. Let’s be realistic: not all the Leave arguments are equal. Leaving the EU single market will probably hurt the UK’s economic growth, and it may spur new calls for an independence referendum in Scotland. The economic aspect is the weakest part of the Leave case. Even in the most optimistic scenario, the uncertainty of a Brexit will hurt investment and economic growth in the UK, weaken the pound, crush UK stocks, and hurt the spending power of British workers’ wages. You can read the official Leave “roadmap” here, which describes a plan for Britain in the event of a majority Leave vote. So if you are going to vote Leave, you need to admit that economics is the weakest part of the Brexit case. Rather, you’re voting on an important point of principle that trumps economics — and there are plenty of reasons to choose from. The EU is not democratic. 2. Former Italy prime minister Silvio Berlusconi says he was forced from office by EU technocrats who were fed up with his tabloid antics. Even if you do not believe that conspiracy theory, it is certainly the case that after Berlusconi resigned he was replaced by former European Commissioner President Mario Monti, who was appointed to run an interim government — and he did not hold elections for two years. No matter how you look at it, democracy was suspended in the world’s eighth largest economy for two years. 3. Portugal has a Socialist government whose economic plan is being sabotaged by the EC. It does not matter whether you agree with Portugal’s government or not — the people of Portugal voted for its anti-austerity agenda. They should get it. 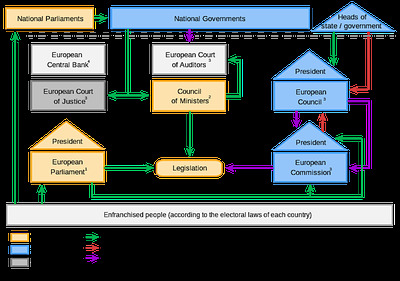 But the EC has rules, and one of them is that governments must balance their books within the margins set by the EU. So earlier this year, the unelected EC forced Portugal to compromise its economic plan. 4. Spain is in a similar position. It is not enough that the Spanish have elected a conservative prime minister, Mariano Rajoy, who has promised his people tax cuts and an end to austerity. Rajoy must also get his plan approved by the EC. No deal has yet been reached. 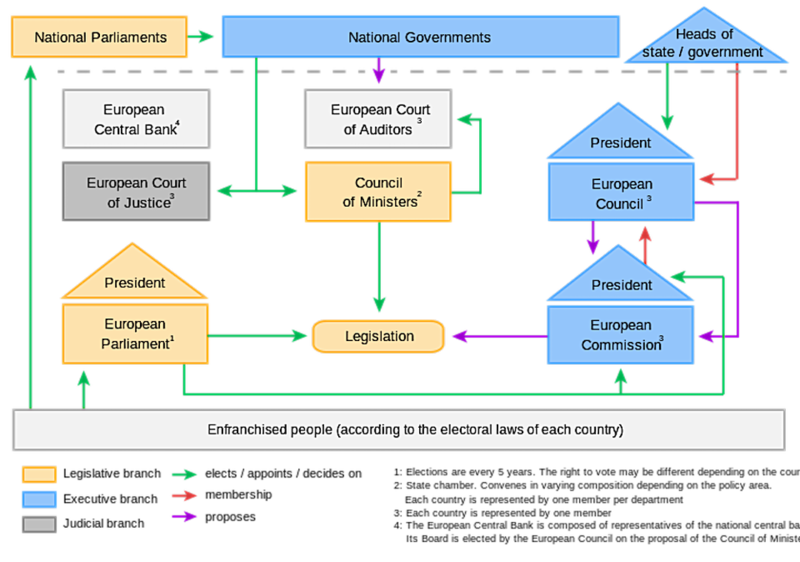 The EU is hopelessly bureaucratic. These bodies are making rules that really do affect our freedoms. For instance, it was the EC that created the “Right to Be Forgotten,” the Orwellian law that bans search engines from linking to truthful, accurate, unbiased information if an individual can make a case that it harms them. And while that bureaucracy is complicated, it is not lazy. Steve Hilton, Prime Minister David Cameron’s former chief strategist did an audit of what civil servants inside No. 10 Downing Street were actually working on, according to The Spectator: “Only a third of what the government was doing was related to its agenda. Just over half was processing orders from Brussels,” new laws coming from a government that British people do not control. The German economy and the Greek economy are at opposite ends of the spectrum. For years, the Germans saved their money, balanced their books, and grew their economy. And for years, the Greeks borrowed money, ran deficits, and their economy has shrunk. Now the Germans must extend the Greeks credit to keep the country functioning, and the Greeks have to go on paying that debt forever unless they want to leave. If the Greeks were independent, their problems would be none of Germany’s business. You can see why they’re enraged by each other. But the two economies are yolked together, despite their mismatched sizes and fiscal policies. Those mismatches are about to get worse. Look at the list of countries trying to join the EU: Turkey, Serbia, Albania, Bosnia, Croatia, Iceland, Kosovo, Macedonia, Montenegro. The Greek crisis shows there is a high price for getting these questions wrong. Britain might be better off out of it. You want (slightly) less immigration. After a Brexit, immigration from the EU will likely go down. Immigration from outside the EU — all those Russians and Arabs — will probably stay the same, however. The UK already controls non-EU immigration itself. If you really believe that European immigrants are ruining our country and stealing our jobs then Leave is the way you should vote. But remember, the British native population is ageing and having fewer babies, leaving the UK economy dependent on immigration for its economic growth. There is no real disagreement about this among economists. Sure, you won’t have to compete against a Polish plumber for a job. But there will be fewer jobs overall. The principal at issue in the referendum — whether Britain should be controlled by the votes of its own people or whether that power should be diluted by Brussels — has real-life consequences for the way we build our society in the future. Greece, Italy, Spain and Portugal have all had their fiscal affairs meddled with against the wishes of their elected governments, but you could argue — at a stretch — that requiring governments to balance their books is a politically neutral policy: countries can decide for themselves how they want to do that. But what isn’t neutral are the competition rules that forbid countries from supporting their domestic industries. If you think the British government should support British steel works, or that the railways should be nationalised again, you’re in for a shock: EU law literally bans countries from nationalising certain industries. So yes, leaving the EU might hurt economically in the short term. But in the long term, something more important is at stake: Whether our democracy should be real or not. The UK recently devolved power to Scotland, Wales and Northern Ireland, and it continues to devolve power to its larger cities and regions. There is broad agreement that this has been a good thing. This is the best argument for Brexit: We should extend that devolution of power to our entire nation, too.